Drip emails are sent over time, one by one, as new emails to your recipients. Drip emails are meant to be "always on" and will not be stopped when recipients reply to your messages. You can always pause recipients to stop future emails. 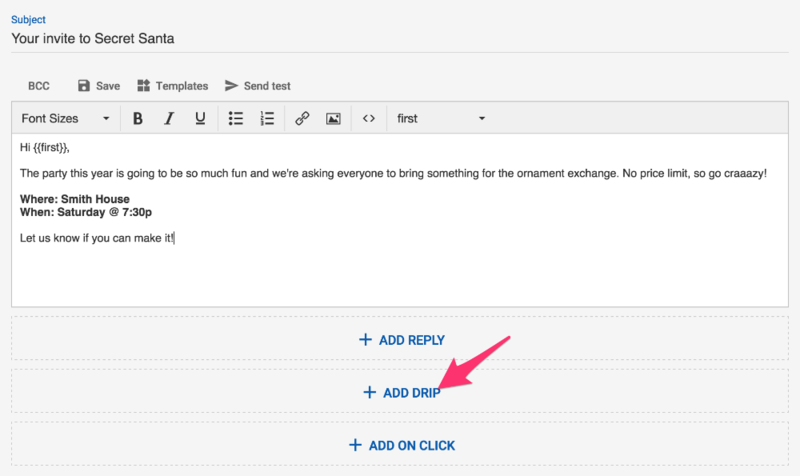 Each drip has a "Send X days after": the drip in our example below will get sent 2 days after the initial email.